In the Netherlands we can literally dance in the street. But how is it to be a dancer in Iran? In Recall Your Birthday the dancers try to remember their first memories. In their performance they encourage the audience to recall their birthdays as their oldest memories. Recalling and imagining the past creates a way to meet a new future. The production was created in 2006 under strict censorship in Tehran and has now been re-created under different conditions as part of the Movies that Matter Festival in The Hague. 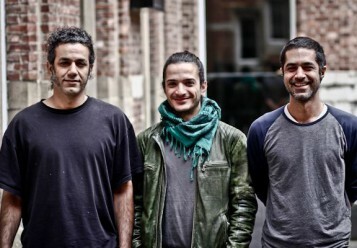 The piece was presented together with the docudrama Dry Branches of Iran, made by Belgian filmmaker Daniël Lambo.